Are you looking for the best yoga mat bag? We’ll tell you what kinds of features and styles you should consider, and then review a couple of our favorites. Looking for beautiful bag designs? We have some of those, too. Read on! 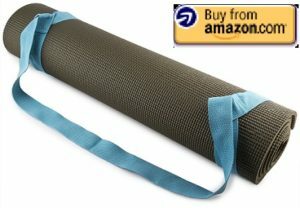 If you are looking for a standard yoga mat bag, we recommend the GoYoga Full Zip Exercise Yoga Mat Bag by BalanceFrom. 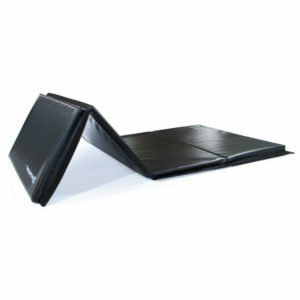 At 25″ long and 7.5″ wide, the GoYoga easily fits even thicker 6mm yoga mats. There is plenty of room to include towels and in some cases even a second thinner mat. It also comes with a larger side pocket that can expand to fit a water bottle. A smaller side pocket can fit a phone and even comes with an earphone slot. Some other yoga bags are barely large enough to fit a mat. If your bag is just a little too small, you can’t use it. You’ll be glad that you had a little bit of extra space with the GoYoga. 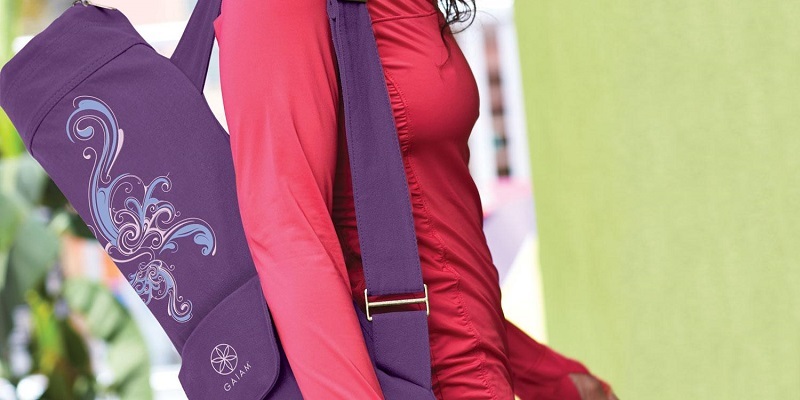 The GoYoga bag is made from cotton for a soft feel. The shoulder strap is also wide and comfortable. You can machine wash the whole bag in cold water and air dry, as you would any other cotton piece of clothing, to avoid shrinking. BalanceFrom provides a 2-year warranty for each bag in case of any problems. The full-zip design makes the bag much easier to use than a top loader. Rolling your mat into your bag with a full-zip design is straightforward. With small top loaders, sometimes you have to fight your rolled up mat to get it inside. Spare yourself some trouble and get a full-zip or other tote-like design. The zippers are smooth and work well without any sticking points. At less than $17, the GoYoga yoga mat bag by BalanceFrom is cheap, durable, and roomy. You really can’t go wrong with this one. Check it’s price on Amazon now by clicking here . Manduka PRO users: note that this bag, while one of the larger ones, will barely fit the Manduka PRO at 26″ width. We recommend you look at the Extra Large category next if you have one of the wider mats. When you want the largest yoga mat bag to hold all your goodies or your extra long mat, the YogaAddict Large Yoga Mat Bag is the best choice. 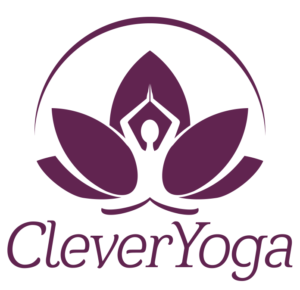 The YogaAddict Large Yoga Mat comes in two sizes: the roomy 28″ x 8″ and the even larger 29″ x 11″. There is plenty of room for towels, some gym clothes, or other accessories. If you own a larger mat, such as the wide and thick Manduka PRO, you will have no problem fitting in this bag. 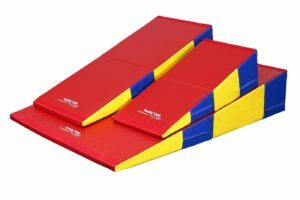 Other larger mats that will definitely fit include the Kurma Extra Long, the Harbinger, the Jade Fusion, and the Spoga Extra Thick yoga mats. If you have the question, “Will this fit my yoga mat?”, the answer is almost certainly YES. There is a mesh lined inner pocket for storing your smaller valuables like ID cards or phones. An expandable outer pocket lets you store even more. 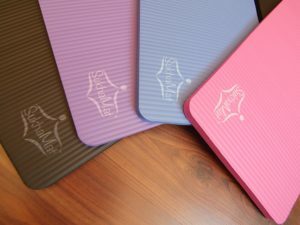 YogaAddict uses a polyester fabric that is light and durable, with plenty of colors to choose from. A larger yoga mat bag will also be a bit heavier, but if you are filling up the bag with thicker mats and accessories, you are going to have a heavier load no matter what. The polyester will be strong enough to stand up to the strain, while not adding much extra weight itself. The carrying strap is a wide 1.5 inches across to comfortably spread the load onto your shoulder. If you want to get rid of the strap, you can unclip one end and insert it into the bag. Ventilation panels keep your yoga mat bag inside dry and breathable. We haven’t mentioned the best point yet, which is price. 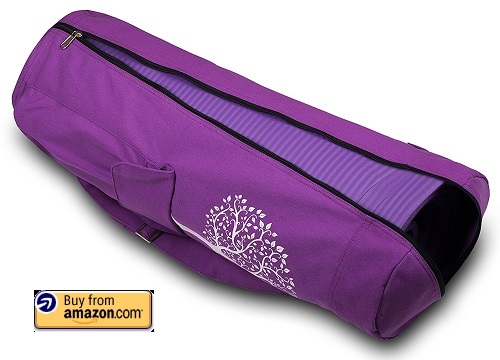 The YogaAddict Large Yoga Mat Bag is less than $22 on Amazon at the time of writing. Check Amazon’s current price by clicking here . Many other large yoga mat bags cost $50 or more. In terms of value and function, that’s why we feel the YogaAddict bag is the best large yoga mat bag. Up to now, we’ve recommended the best yoga mat bags from a purely gym-use perspective. But we know that bag shopping should be fun too! 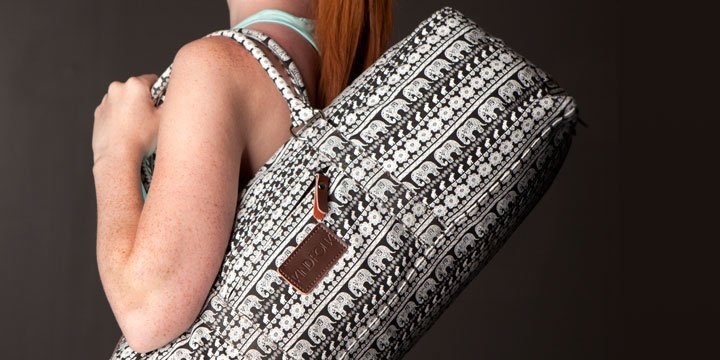 If you are looking for something more fashionable for your yoga bag, take a look at these alternatives. However, we tried to make sure we picked the best quality bags as well. This means the bags are made from durable materials, with no complaints of broken zippers or other problems. We also tend to stay away from poorly-designed magnetic clasp tops or bags that do not keep their shape when filled with a mat. While the bags listed below look great, rest assured they should also function well. 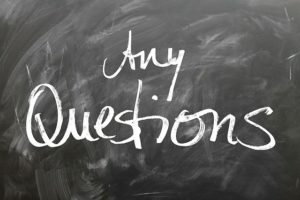 Make sure you do pay attention to the size requirements, or leave a comment if you have a question. Kindfolk makes elegant prints in a variety of form factors. 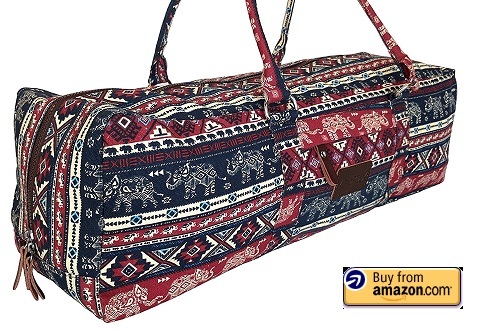 The duffle bag and tote bag designs will fit larger yoga mats up to 26″ wide. 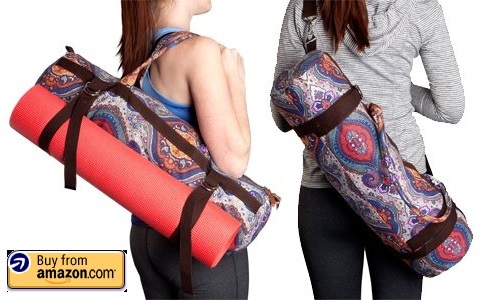 The bag carrier design will only fit standard mats up to 24″ wide but comes with straps to carry yoga mats on the outside as well (see the picture below). The Kindfolk yoga mat bags are gorgeous while also technically superb. 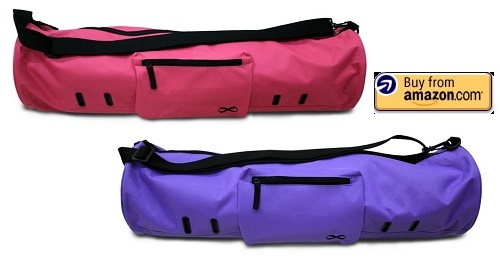 At around $30, they are only slightly more expensive than a regular yoga mat bag. Personally, we find their style to match our sense of fashion the best. Click on the images to check prices or buy the bag on Amazon. The Yoga Mat Tote Bag Carrier in Parade color by Kindfolk is our pick for classiest looking yoga bag. The Yoga Mat Duffle Bag is an alternative design by Kindfolk, shown here in the gorgeous Karma pattern. Light and versatile: the Yoga Mat Bag Carrier in Celestial pattern by Kindfolk has a clever strap system for multi-purpose use. If you are looking a more fun style or classic floral prints, DOHOT makes the Canvas Yoga Mat Bag in a variety of pretty designs. 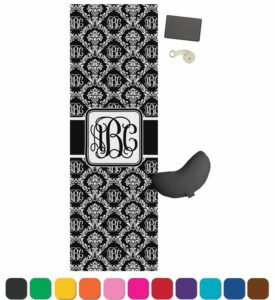 These yoga bags that will fit a mat up to 26″ wide, have easy-to-grasp large zippers, and have handmade quality and attention to detail. But really, the main reason to buy a DOHOT bag is the cute patterns. Check out the DOHOT bag styles and click the image to buy on Amazon. DOHOT yoga mat bags in Lovely Koala and Flowers patterns. 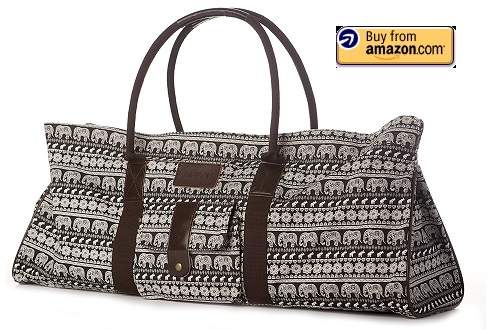 We think koalas are MUCH cuter than all those elephants you find on other yoga bags. DOHOT yoga mat bags in Pink Owl and Pink patterns. The bags are lovely! 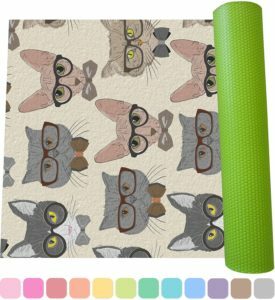 If you are still undecided on the best yoga mat bag for you and want a much cheaper solution, you can also get a yoga mat strap. We recommend this $6 strap from Fit Spirit. It fits every possible size of yoga mat for the price of 1 or 2 Starbucks lattes. It’s made from soft cotton and is 6″ by 1.5″. It’s a strap. There not much else to say other than it does it’s job just fine. We hope you’ve found a good yoga mat bag for yourself with the above recommendations and reviews. However, if you are REALLY looking to make a fashion statement at your yoga class, check out this monstrosity. 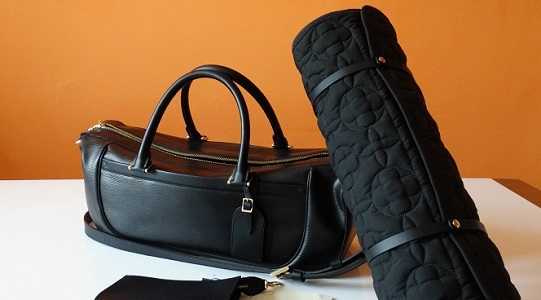 Yes, this is a yoga mat and accompanying yoga mat bag by LOUIS VUITTON. We are not kidding, Louis Vuitton makes a yoga mat bag. We are not sure where you (or your personal assistant) can buy this firsthand, but mere mortals can find a few on Ebay or other luxury resellers if you are so inclined. These typically go for $1000-2000 secondhand. Those Kindfolk yoga bags are so pretty! I want them all, haha.